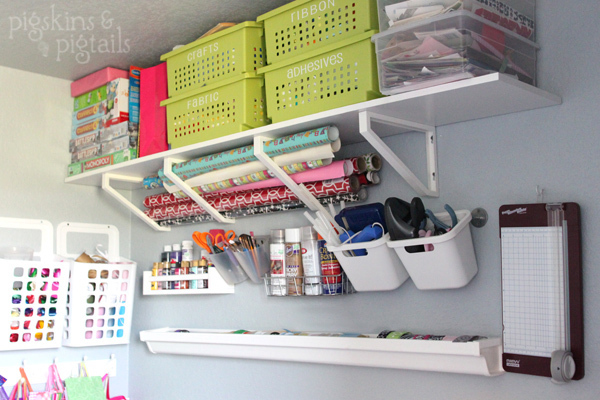 I have finally completed my craft area transformation. 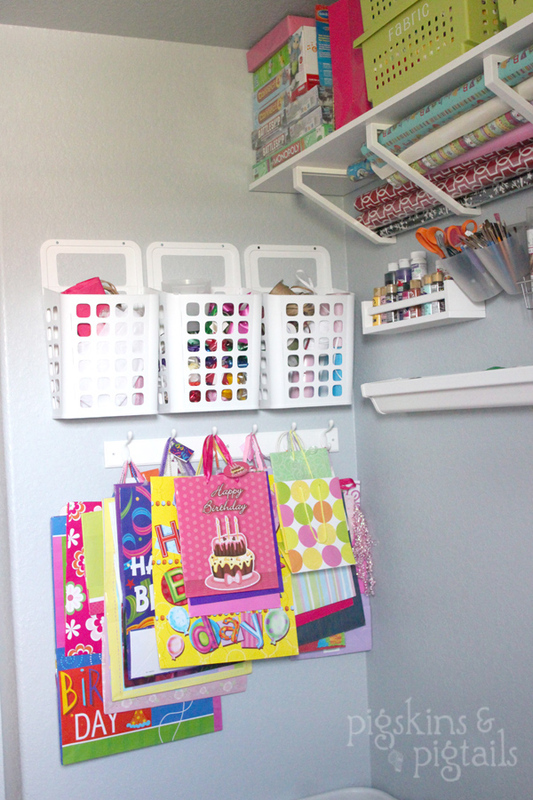 I have a spot in the laundry room for my craft supplies. I was using a large cabinet to store everything but couldn’t keep it organized. Things were piled on top of each other and it was hard to find what I needed. I decided to ditch the cabinet and organize everything on the wall. I love how it makes the room feel so much bigger. 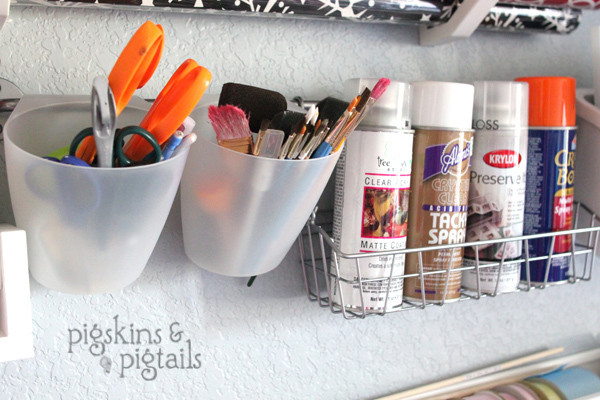 I used the Bygel Rail and containers from Ikea to organize my scissors, paint brushes, and spray cans. 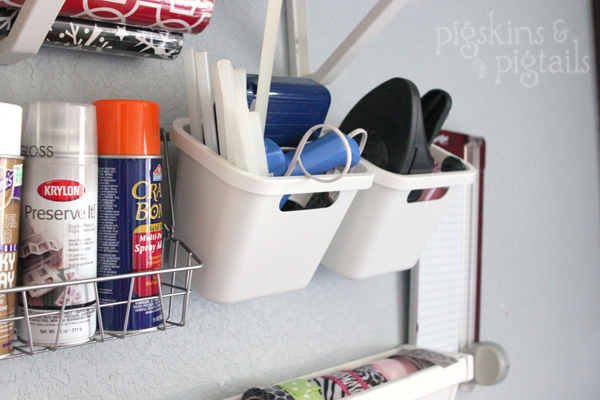 I used larger containers on the rail for my glue gun and punches. 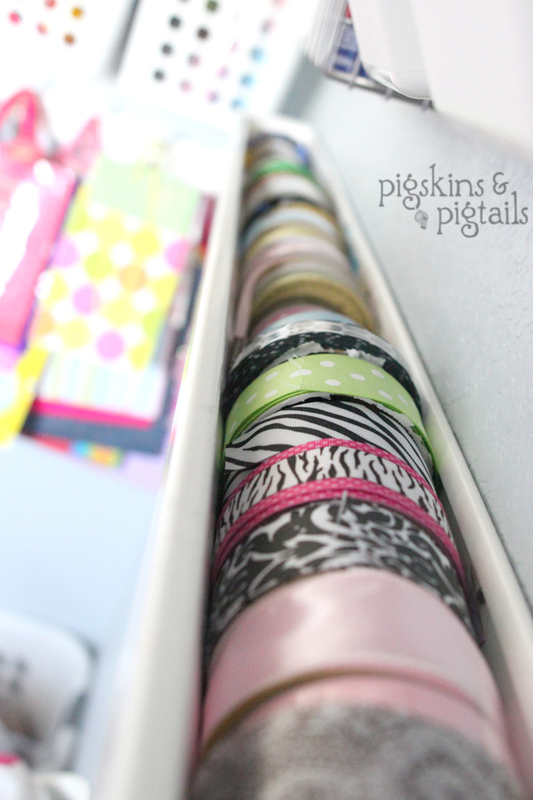 I have tried several different ways to organize ribbon. I tried the dowel through the basket, put them in containers…. nothing seemed to keep my ribbon from ending up in a tangled mess. Until…. 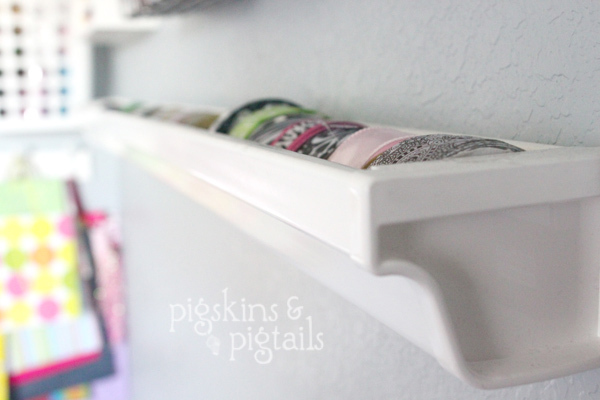 I found this awesome idea for organizing ribbon on Pinterest (here). I used a plastic rain gutter. The ribbon fits perfectly. It’s easy to see what I have and the ribbon stays put on the roll. 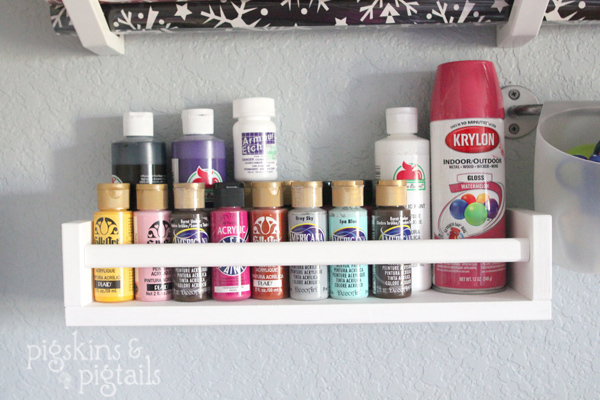 For my paints, I used a spice rack from Ikea. 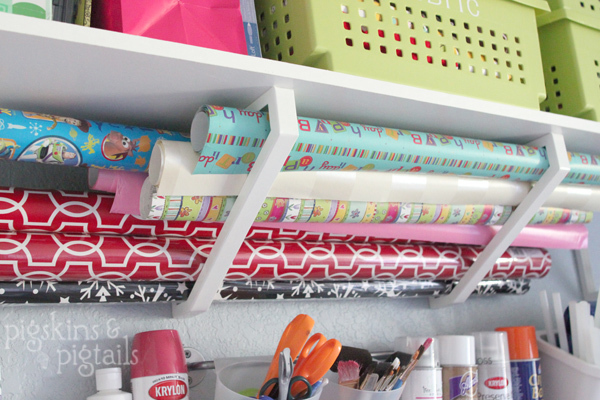 My wrapping paper fits nicely on the shelf brackets. And last but not least, I used trash containers from Ikea as hanging baskets for the bows and tissue paper. I added a row of hooks for all of the gift bags. Wrapping presents is much more enjoyable when you can find the right supplies! Oh I love the gift bag idea! I love it! Everything is out in the open and doesn’t take up a lot of space. 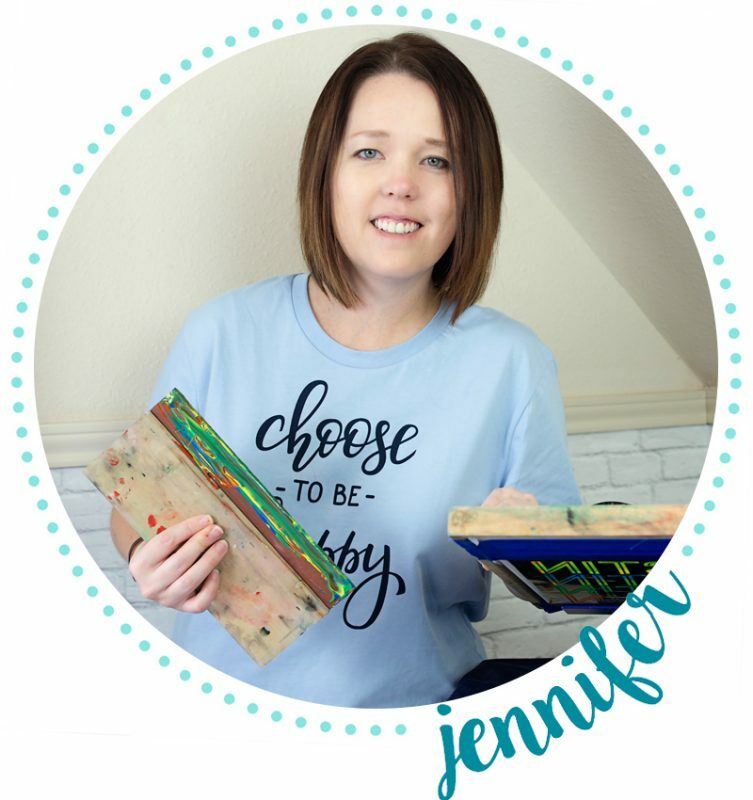 I included your gift wrap image in my blog post for tomorrow with credit to this post. If you wish for me to remove it please just let me know. I just had to post this onto my Facebook page for all to see. This is just awesome! Don't miss the party! New project ideas sent to your inbox.